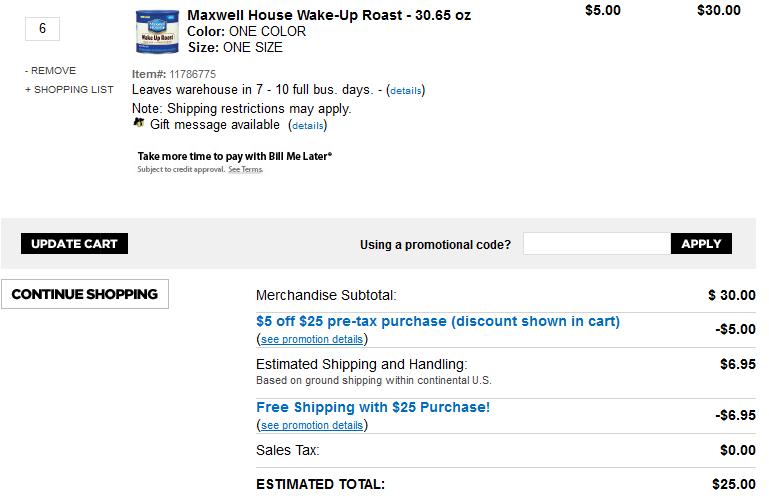 Dollar General: One case (six 30.65 oz) cans of Maxwell House Wake-Up Roast coffee for $25 shipped. The case is valued at $39, down to $30, but use code "SAVENOW" for an extra $5 off. 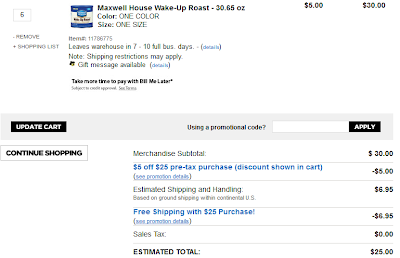 Go through Shop at Home and get 2.5% cash back on your Dollar General purchase!